Chequer plate makes ideal material where a large area needs to be covered, either it is on the floor or to protect an area of wall, which could be damaged due to movement of goods i.e. pallet trucks in a warehouse environment and the interior of a truck/van. Features and Application: Chequer plate or checker plate is both slip-resistant and decorative. We can supply perforated plates to allow drainage, or fabricated step plates or tread plates. 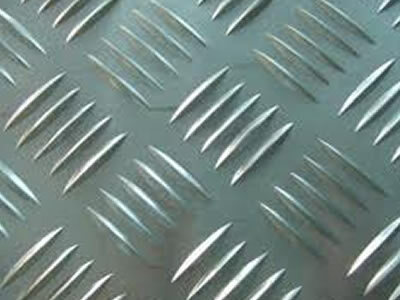 Standard Sizes: We supply chequer plate (checker plate) in sheet thickness from 2mm to 6mm.